Rumba is a 2014 Lagoon 52 available for crewed, all inclusive charter vacation sailing the Virgin Islands from St Thomas or Tortola. 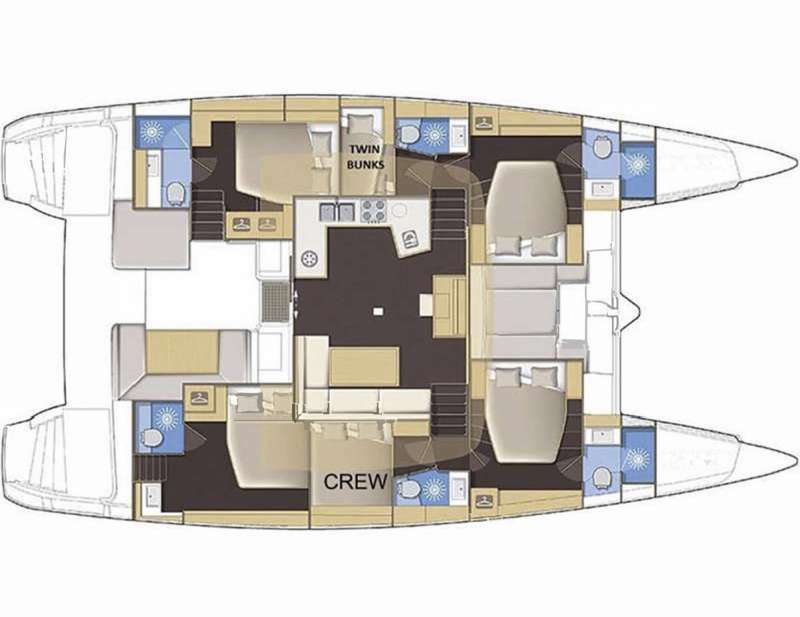 The catamaran offers guests 4 Queen cabins with en-suite batherooms, electric fresh water toilets, dry shower stalls, plus 1 Twin cabin with upper lower bunks also with en-suite head. Save $1,000 off the weekly rate for new reservations 6-nights or longer sailing the Virgin Islands 18 Nov - 18 Dec 2019. Can not be combined with any other special offer. Available 1 Nov 2019 through 18 Dec 2019. Confirm before 22 Nov 2019. Eco-friendly cleaning products. Limited use of paper products. Chef purchases organic and locally grown products when available. Contact us for rates and current availability or to book a charter aboard Rumba! Other Water Toys Vessel will be arriving in time for the BVI Yacht show and will have a larger dinghy that will be water sports suitable.